Doncha just wanna shoot the breeze with this guy? I only want to point out, in a forum that won't be filled with flying monkeys flinging poo, that this is not "papal moralism:"
I know nothing about being Pope, except it's a job I never want only because I'm a terrible administrator (man got to know his limitations!). But I know something about being a pastor. Delving further into a subject is pastoral humility recognizing answers are hard, but necessary, and that things don't matter and ideas don't matter; only people matter. Rich, poor, or middle class: people matter. Things and ideas follow from that; they don't precede it. Which might account for how academia came to disdain religion, as it came to value and reward abstraction over real life. That is a product of the so-called enlightenment and the elevation of factoids about physical objects - inevitably rather simple physical objects in an idealized or artificial scenario, what science successfully deals with. I don't think it would have happened without the wealth such activities generated, either. I've had people become enraged at me when I said that the practical applications of science that made life better were the higher part of it and that the theory, if it didn't serve the purpose of improving and prolonging lives, individually and of the entire planet, was just a very expensive hobby of an elite. I'd relate it to the media, as well. I think we were better off when news programs and newspaper reporting was done by people trained in a craft and who were and remained workers instead of being paid large salaries. Pope Francis reminds me of John XXIII. 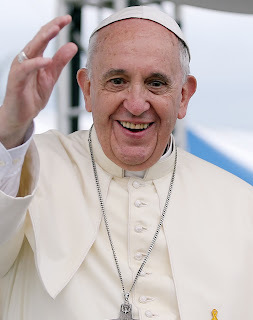 After the two dreadful non-pastoral, even anti-pastoral papacies of JPII and BXVI he's like the windows got opened up again and fresh air is coming in. Non-Catholics benefit from the Pope being a good pastor as well as Catholics just like people benefit from having a friend instead of someone who's indifferent to them.